Hi all! 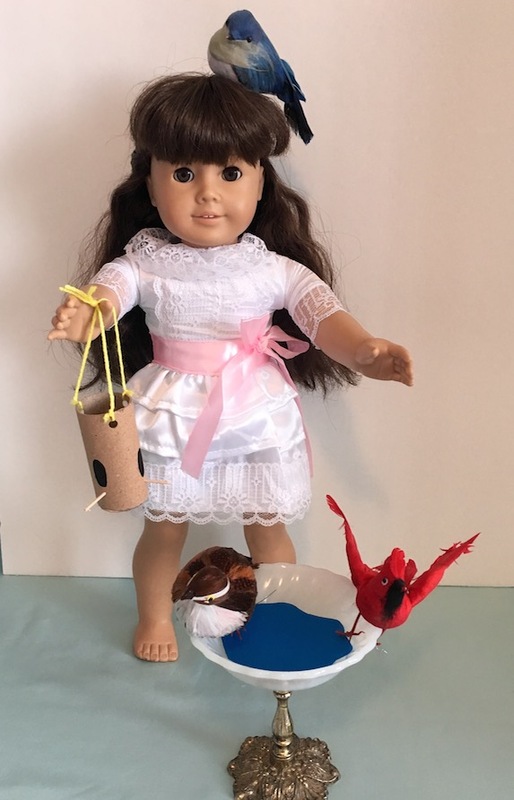 Welcome to Day 2 of this week’s Doll Craft Camp! 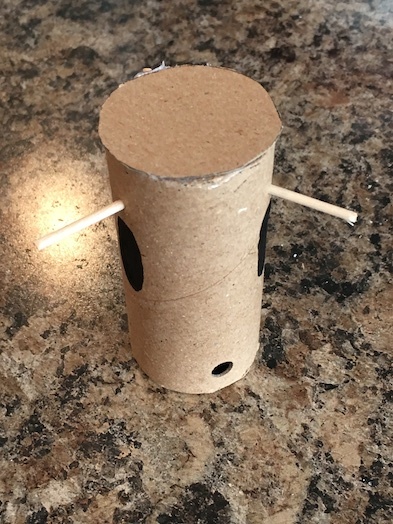 Be sure to check out all of the crafty doll camp stuff going on over at KaitsAGCrafts! 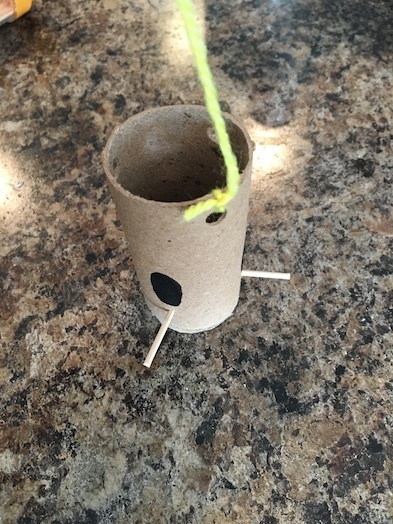 Today we are making a bird feeder for our dolls! 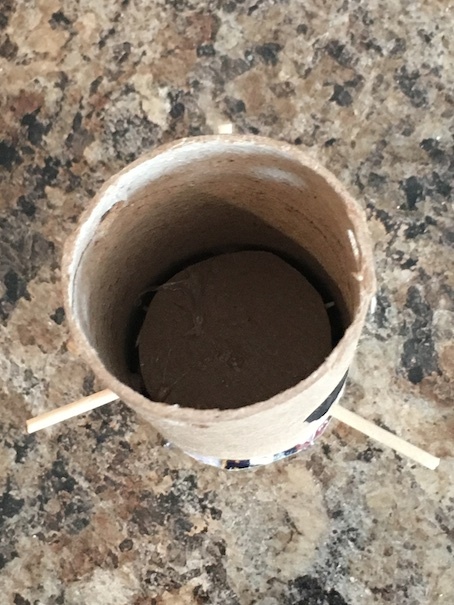 Start with a sturdy cardboard tube. The ones from plastic wrap or aluminum foil work especially well for tube crafts. 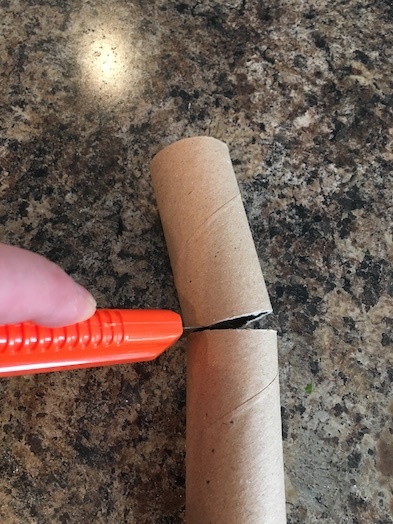 I didn’t really measure this part. I just eyeballed it really but it turned out to be 3 inches. 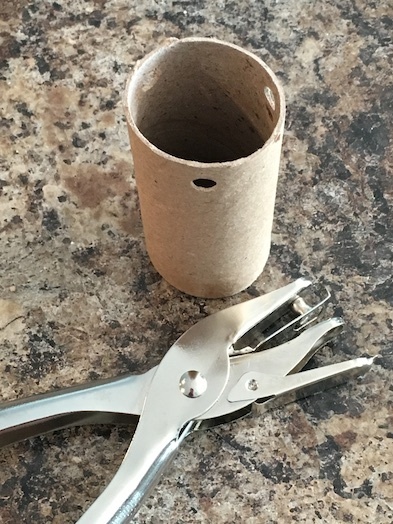 Punch three holes in the top of the piece of tube. 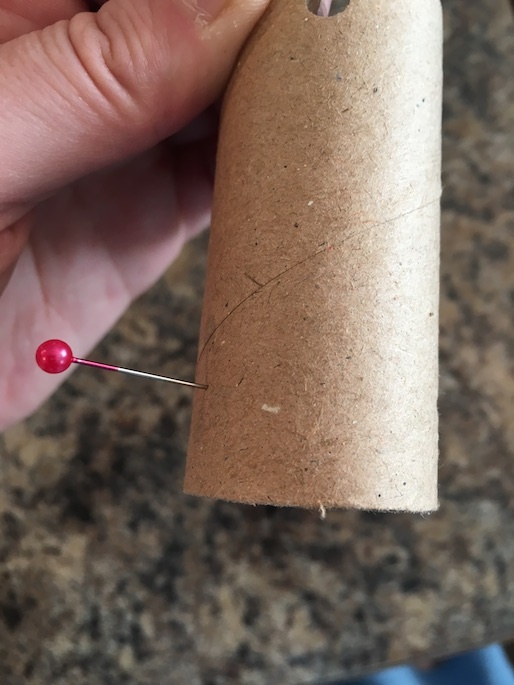 Next, use a straight pin to punch three holes in the bottom of the tube. 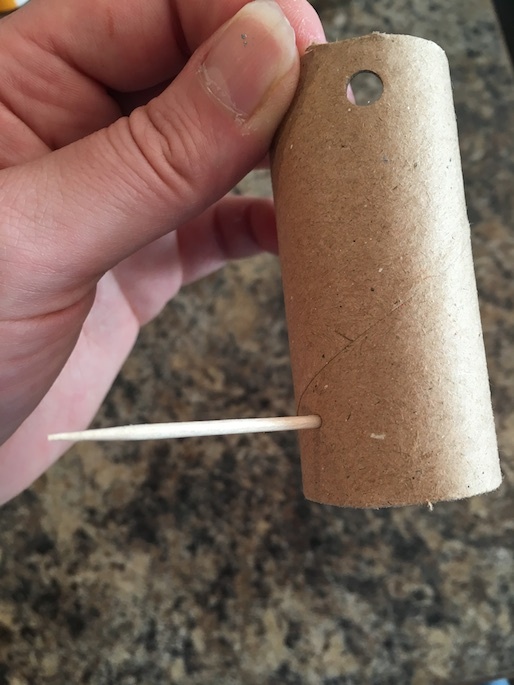 Stick toothpicks in the holes you made with the pins. This is what it should look like once all of your toothpicks are in. 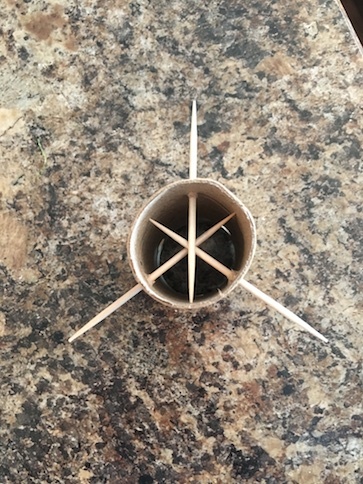 🙂 Put a blob of hot glue at the centre of the toothpick star to keep them all in place. Clip off the sharp points of the toothpicks. Then, using the black felt marker, draw an opening at each bird perch. 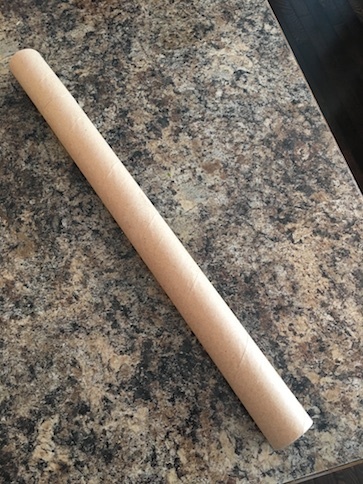 Next, trace the end of the tube onto some cardboard packaging. Cut it out, and glue it to the bottom of the bird feeder. 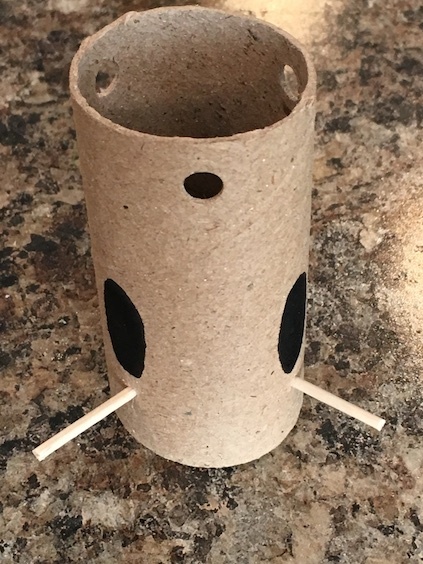 Cut out another circle but this time make it a bit smaller to fit inside the bird feeder. At this point, feel free to fill your feeder with bits of whatever you like. You can use seed beads, craft foam pieces, or even real bird seed! Anything goes really. We decided to leave ours empty for now. 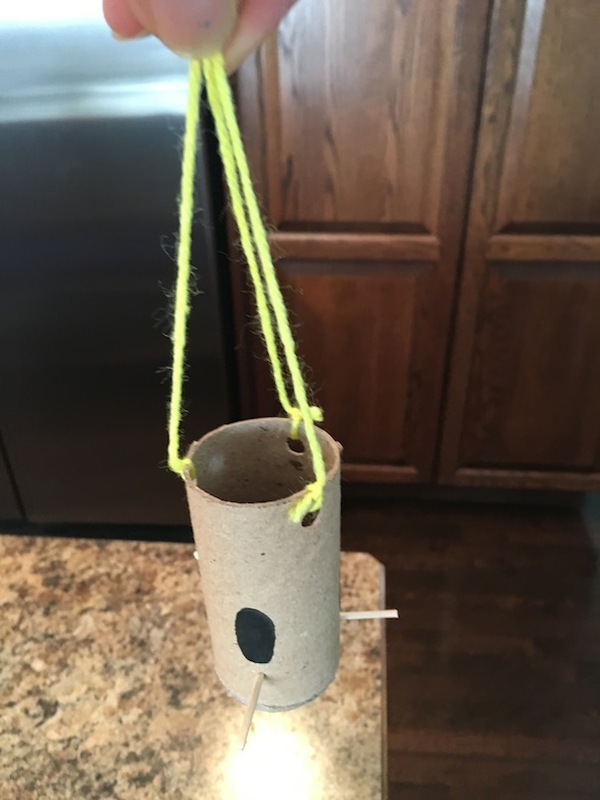 Take your thin yarn or string and tie a piece to each hole at the top of the bird feeder. Tie the three strings in a knot at the top, and your dolls are ready to feed the birds! You can paint your bird feeder if you like, or get creative, and decorate it with whatever you like! I hope you enjoyed our craft! Also, if you love dolls, and you have a bit of creative flair, you might like to host a week of doll camp too! You can find everything you need to sign up here! Thank you again to KaitsAGCrafts for having us!